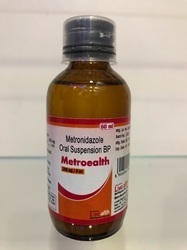 Our product range includes a wide range of amoxicillin oral suspension bp 250mg, b-complex tonic, metronidazole oral suspension bp, orix forte syrup, cyproheptadine hcl with b-complex syrup and multivitamin syrup. 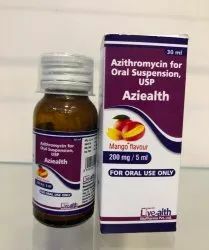 When reconstituted, every 5 ml of oral suspension contains amoxicillin trihydrate Ph.Eur equivalent to 250 mg amoxicillin (50 mg per ml). ... A pale yellow granular dry powder for oral suspension, which when constituted with water forms a yellow, lemon flavoured suspension. 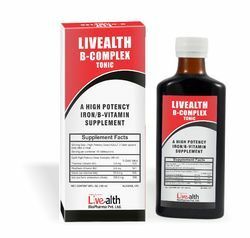 This product is a combination of B vitamins used to treat or prevent vitamin deficiency due to poor diet, certain illnesses, alcoholism, or during pregnancy. Vitamins are important building blocks of the body and help keep you in good health. B vitamins include thiamine, riboflavin, niacin/niacin amide, vitamin B6, vitamin B12, folic acid, and pantothenic acid.Some brands of B vitamins also contain ingredients such as vitamin C, vitamin E, biotin, or zinc. Consult your doctor or pharmacist if you have questions about the ingredients in your brand. It works by stopping the growth of certain bacteria and parasites. This antibiotic treats only certain bacterial and parasitic infections. It will not work for viral infections (such as common cold, flu). 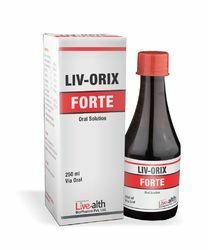 Liv - Orix Forte Syrup works by helping the body to produce energy; blocking histamine and serotonin in the body; inhibiting herpes simplex virus growth by knocking out arginine; metabolizing carbohydrate thus maintains normal growth; producing antibodies and hemoglobin by keeping blood sugar level in normal range; treating vitamin B12 deficiency;Detailed information related to Liv - Orix Forte Syrup's uses, composition, dosage, side effects and reviews is listed below.Packing: 250 ml In a printed carton. 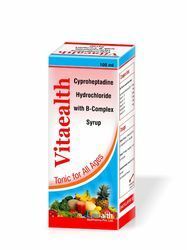 Cyproheptadine Syrup Vitaliv is antihitamine stimulates appetite, promotes growth, helps children gain weight, improves sleep pattern and asthenia and also helps in curing other chronic diseases. 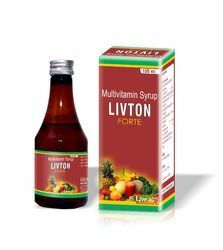 We are one of the leading Manufacturers, Exporters and Suppliers of Vitaliv Syrup from India. Vitalib Syrup that we offer is a delicious flavored appetizer. 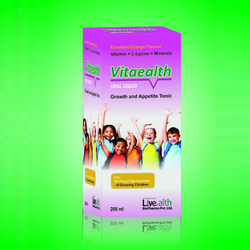 Vitaealth syrup is a dietary supplement for children, to improve their appetite and promote growth. 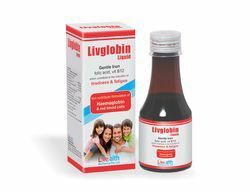 This product is suitable for children below 4 years old because it is in the form of liquid and majority of the nutrients comply with 100% of United States Dietary Reference Intake (US DRI) for children, 1-3 years. 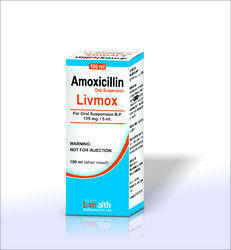 We are one of the leading manufacturer and supplier of Livmox (Amoxicillin Oral Suspension B.P. 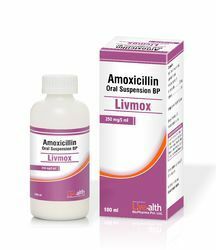 125 mg / 5 ml).We are highly engaged in offering Livmox (Amoxicillin Oral Suspension B.P. 125 mg / 5 ml). A balanced combination of well known ingredients i.e. Ferric ammonium citrate which is a complex salt of iron, ammonia and citric acid and is one of the best-tolerated iron supplements; Vitamin B12 that have an important role in production of RBC''s and the important hematinic factors Folic acid and Zinc that are vital for DNA synthesis. 200 ml, Syrup in a Printed carton. Packaging Details: 200 ml in a printed carton. Treating or preventing low levels of vitamins and minerals in the body. It may also be used for other conditions as determined by your doctor.Multivitamin drops are a vitamin and mineral supplement. 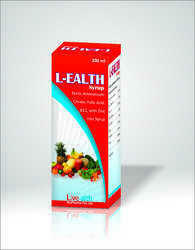 It works by providing extra vitamins and minerals to the body when you do not get enough from your diet. 30 ml, Drop in a printed carton with dropper. Enriched with rich industrial expertise, we are involved in offering Calciealth Syrup. 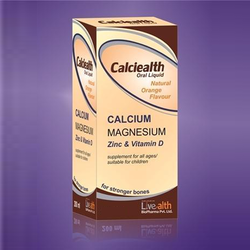 Calcium is an essential mineral that strengthens bones and teeth, maintains nail and hair health, supports weight management and helps in warding off Pre-menstrual Syndrome (PMS). Adequate Calcium supplementation effectively helps prevent Osteoporosis. 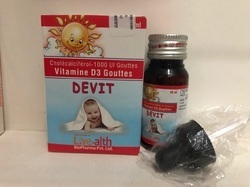 Cholecalciferol is a vitamin D3. Vitamin D is important for the absorption of calcium from the stomach and for the functioning of calcium in the body. Cholecalciferol is used to treat or prevent many conditions caused by a lack of vitamin D, especially conditions of the skin or bones. 30 ml, Drops in a plastic bottle in a printed carton. 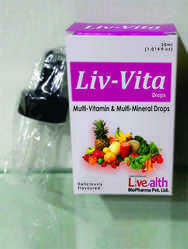 Packaging Details: 30 ml, Oral drop in a plastic bottle in a printed carton. Red blood cells are able to carry oxygen so efficiently because of a special protein inside them: haemoglobin. In fact, it is the haemoglobin that is responsible for the colour of the red blood cell. Haemoglobin contains a haem prosthetic group that has an iron atom at its centre.